The City of Lodi skyrocketed to notoriety with the 1969 release of the Creedence Clearwater Revival song by the same name. The song “Lodi” tells the story of a seasoned musician who laments the stagnation of his career in the Central Valley town. But if all you know of the area is the impression you’ve gotten from that 50-year-old CCR tune, a short visit to Lodi will quickly have you singing a different one. Coined the “Zinfandel Capital of the World,” Lodi is a well-known wine growing region with over 113,000 acres of vineyards and a climate similar to nearby Sonoma and Napa counties. And while the lyrics of “Lodi” paint a somewhat bleak picture of the types of opportunities available there, the town itself can actually be a wonderful place to launch and grow a career – just ask any of the IBEW 1245 members who work for the City of Lodi’s electric utility. Five-year IBEW 1245 member Benjamin Griffith works as a senior electrical engineering technician for the City of Lodi, and values the unique opportunities he’s been given through his quality union job. 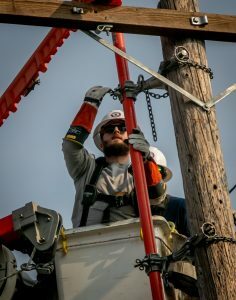 He oversees a broad range of work, from replacing getaways to installing a station feeder and a mile-and-a-half of new primary cable, to routine maintenance. He also does all the single line and three-line drawings for construction crews and customer-based projects, determining required materials and labor estimates which impact the City budget. Urgent issues also require Griffith’s attention. He told the Utility Reporter about a low-voltage report he had responded to out in the field earlier that day, noting that he and his colleagues always try to create as little impact on customers as possible, working through the night and into the early pre-dawn hours when necessary to minimize disruptions. Griffith recognizes the value that the union plays in improving his pay and working conditions and has seen the power of collective action first-hand at the bargaining table. 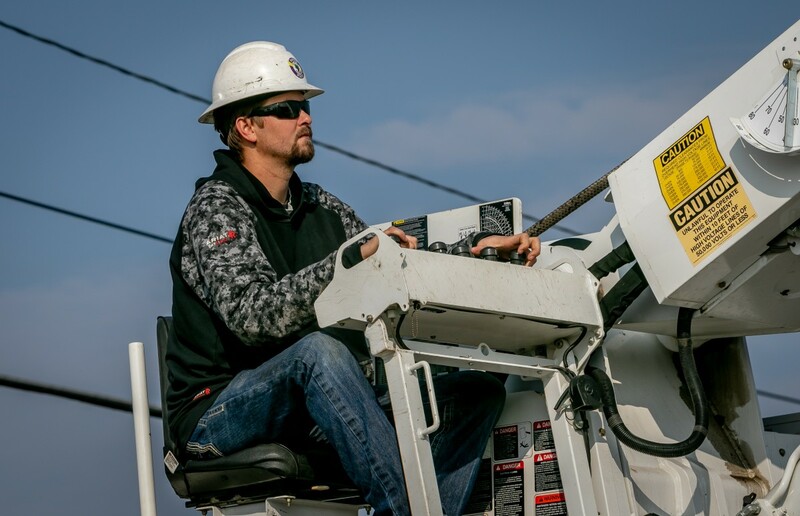 Journeyman Lineman Layne Worley, a native of nearby Oakdale, also works for the City of Lodi’s Electric Utility Department and has been an IBEW member since 2013. 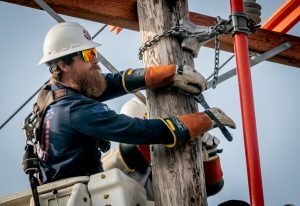 Worley recently returned home after completing his line apprenticeship with Mountain States JATC in Montana. He appreciated his time in Big Sky Country, but is glad to be back home with his crew. “I enjoy it here. 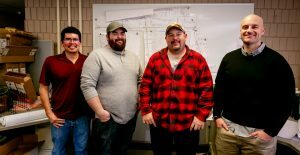 It’s a great group of guys to work around,” he said, noting that a successful group dynamic is critical for safety on the job. While Worley’s work includes routine maintenance on tangent structures, like changing out cross arms, he knows that even everyday tasks still require careful focus and attention. The presence of the public can always pose new challenges and potential dangers that IBEW workers are careful to heed. He appreciates the union’s focus on safety, but his favorite part of being a union member is the sense of belonging and collective power. Before coming to the City of Lodi’s Electrical Department over two years ago, Apprentice Lineman Charlie Brown worked for a non-union outfit in Nevada for four years. The union difference did not take long to realize. 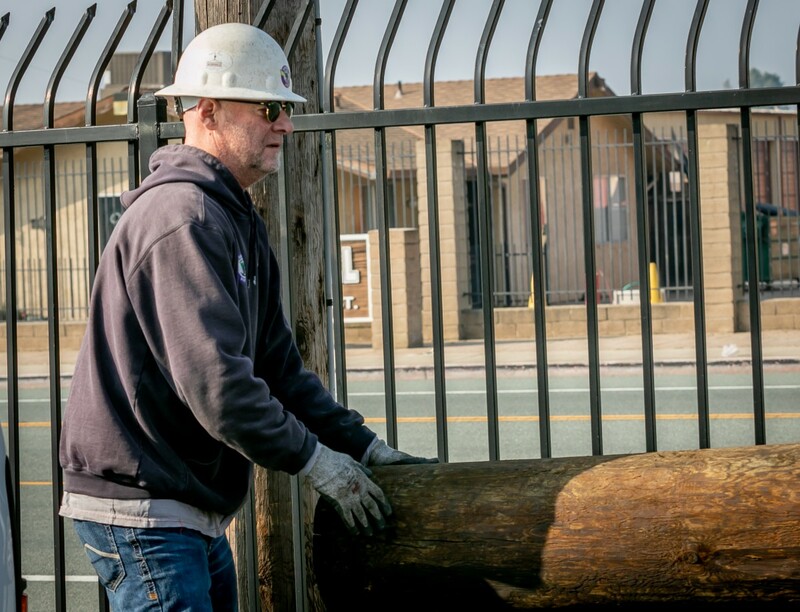 For Brown, working for the City of Lodi is an opportunity to get a lot of experience, while also performing routine and preventive maintenance. He works hard to make sure everyone goes home safe – including his co-workers, as well as other members of the community. Brown knows from his own experience that the union plays a key part in establishing a culture of safety and training, and that’s what makes IBEW workers the best in the business. The union is providing a better life for Brown, too.